To see more of the set, head over to The Knight’s Lance for an exclusive first look. 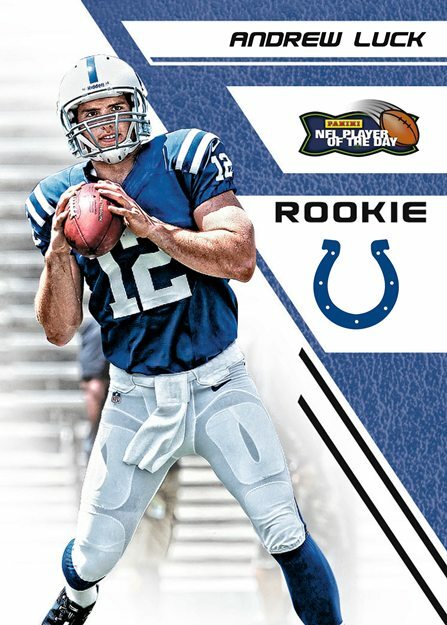 For more information on the promotion or to find a participating dealer in your area, check out the official 2012 Panini America NFL Player of the Day website. But you didn’t think we would leave it at that, did you? Come on. If you have participated in any of our previous contests you know we always have something up our sleeve. No announcement in the title of this post about a contest or a prize so lets reward those of you that come here on a regular basis just to check stuff out. And since you are here, without a contest announcement, it is safe to say you follow the blog, or our Facebook page, or our Twitter feed. Perhaps you follow all three. If you don’t follow us anywhere, please pick at least one of those. You are going to want to do that anyway because it will be the only way you will be eligible for the prizes we receive as part of the NFL POD promotion. Speaking of which, Panini is shipping out their NFL Player of the Day Prize Kits as we speak. I do not know the exact number of prizes in the package or when it will arrive, so I’m taking something from my own collection and offering it up as our first prize. These are exclusives from this year’s National in Baltimore, a pack of Panini’s VIP cards that feature Andrew Luck, RG3, Ryan Nugent-Hopkins, Kyrie Irving, Michael Kid-Gilchrist and Anthony Davis, along with a hard-signed autographed photo of Ryan Tatusko who is a current prospect pitcher in the Washington Nationals system. He is also a fantastic on-camera box breaker. 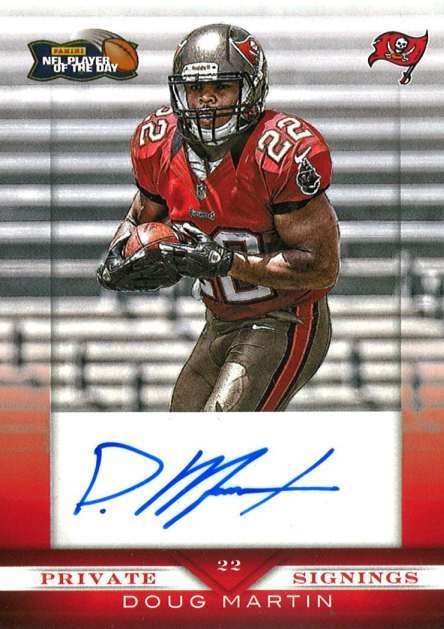 If you missed him breaking open a box of 2012 Elite Football with Panini’s own, ever-ebullient Tracy Hackler, make sure you use this link to check it out. So how do you win this prize? First you will need to quickly check out two of Panini’s sites. Start by using this link to head over to The Knight’s Lance so you can check out the cards for this year’s Player of the Day promotion. Then use this link to head over to the 2012 Panini America NFL POD site. Click on the NFLPOD Shop Locator, enter your state’s two-letter abbreviation and then click the “find a location” button. You should now have a list of all of the card shops in your state that will be running this year’s NFL POD promotion. By clicking on any of the names on the list you can view all the information you need to get to that card store, a map, address and telephone number. To enter this contest, answer these two questions here in the Blog's comments section. 1 - From the set that was previewed on The Knight’s Lance, what is the name of the only Tennessee Titans player featured on their own card? 2 - From the list of the participating card shops found on the NFL POD site, which one is closest to you? What the name of the shop, the city it is located in and the telephone number? You wont see your comment after you leave it because I have turned off the visibility of the comments until I moderate/approve them. This prevents folks from “borrowing” other people’s hard earned answers. By the way, I will be crosschecking the answers with the shop list, so make sure you have the right information. Here is the best thing about this part of the contest. You get a head jump on accumulating entries towards our 2012 Panini NFL POD prizes. Yes... this is the “early adopter” phase of the promotion. I will award 2 bonus entries to everyone who participates. But act fast. This part of the contest is only open for a limited time. Good luck and lets have fun with this!